The higher you go, the better the view - right? It is true that the hours of sweat put in to get to the top of any mountain in the Alps will undoubtedly pay off with a magnificent view. However, for families trying to share their passion for the mountains with children, the pain of exhausted little ones with sore feet, aching legs and blisters is not always worth the recompense! The good news is, you don't have to hike for hours to get the same reward. In the Champsaur valley, on the edge of the Ecrins National Park, the high mountains taper off towards Provence. The landscape is mountainous, rocky and and alpine on one side but open and rural with a patchwork of fields, alpine pastures, woods and forests with quaint alpine villages dotted around the mountainsides on the other. There are many lower altitude summits which, given the openness of the valley, provide magnificent panoramic views taking in the lake through to the high mountain glaciers. Have a look at our family activity holidays in this area. 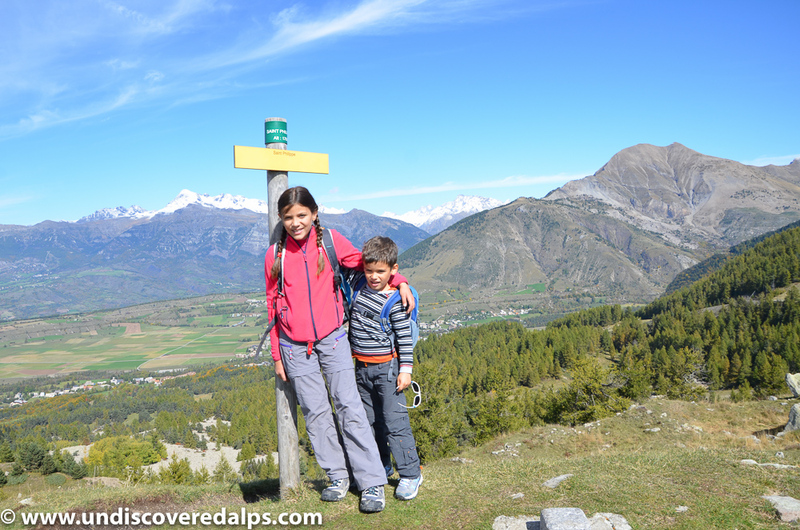 The walk to the Croix de Saint Philippe, a few kilometres away from the lovely village of Ancelle, is a gentle ridge walk suitable for the whole family. The path you follow traverses some mountain fields where you can see cows or sheep peacefully graze in the sun, and it then climbs gently up to the Saint Philippe’s cross through a rockier environment. The walk up to the cross takes around an hour and you return to your starting point by the same route. From the top of the mountain where the cross is, you can enjoy a pretty unique view over the two valleys (Champsaur on your right and the Gap / Chorges valley on your left). You can see all the way to the Lac du Serre Poncon with the Durance valley (the fruit basket of France) and the city of Gap on one side. To the other side you look across the charming Champsaur valley with it's 'bocage' and over to the snowcapped mountains of the Ecrins. 'Bocage' is an ancient alpine farming technique using hedgerows as boundaries between fields and the Champsaur has one of the last existing examples of this in the Alps. On the site, you can also still see the traces of the 11 th century fortified tower that once stood here in the form of a vault and a grain silo. At its peak, this observatory controlled the entirety of the surrounding area and it was the occupants of this tower who consequently built the chateau of Ancelle. 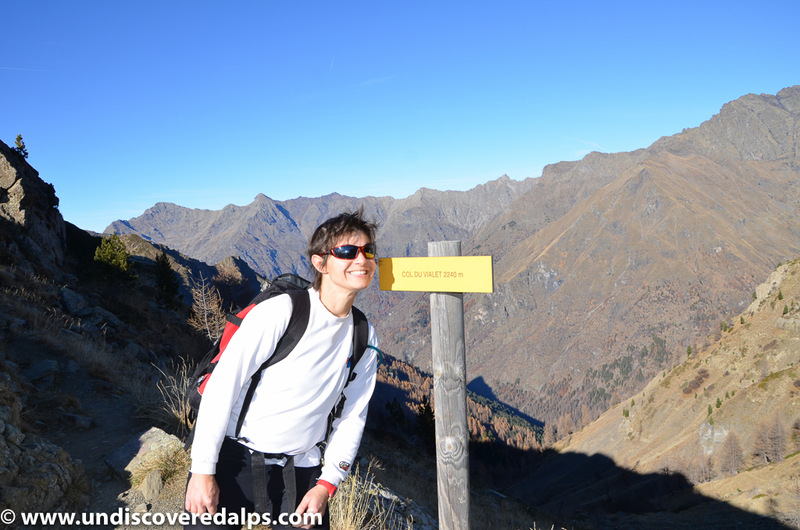 The Col du Viallet is one of the most beautiful hikes in the Champsaur valley. It will take you through a unique variety of alpine landscapes. Starting right above the Chaillol 1600 ski resort, the first part of the hike takes place on a beautiful and gentle forest path. Walking in June or July, you will see thousands of multicolour flowers with butterflies of all colours flying around them - it is like being in a fairytale! The beeches, larches and the pine trees line the paths dappling the light on the paths as you walk in and out of the shade. As you reach the end of the forest, you will see some of the most amazing rock formations in the Champsaur valley: these gigantic columns of sandstone will definitely be worth a break – and a few pictures On your way on to the “Col du Viallet” (altitude 2240 metres) you will admire a stunning view over the lower part of the Champsaur valley and its famous “bocage” that makes it unique in a mountainous region. The walk gets a little bit rockier as you approach the Col du Viallet but it is a very safe hike and the path is well marked all the way. Reaching the Col, you will enjoy a breath taking view over the iconic “Vieux Chaillol”, the highest peak in this part of the Alps (3163 metres) and bigger brother of the Pic du Queyrel. You may even see some “chamois” (wild antelopes) on the slopes behind the col if you get there early enough. The round trip will take you about 3 hours – which you will not even notice ! Why not combine some family walking with activities like rock climbing, white water rafting, kayaking canyoning or even paragliding on on of Undiscovered Mountains summer activity holidays! We give all our clients information on great family walks you can do other self guided or with a guide as part of our summer activity holiday.